General Motors Canada will soon have two shifts producing pickups at its Oshawa, Ont., facility, a union official said Tuesday. Colin James, president of Unifor Local 222, which represents workers about 2,500 hourly employees in Oshawa, said the second shift is scheduled to start June 18. 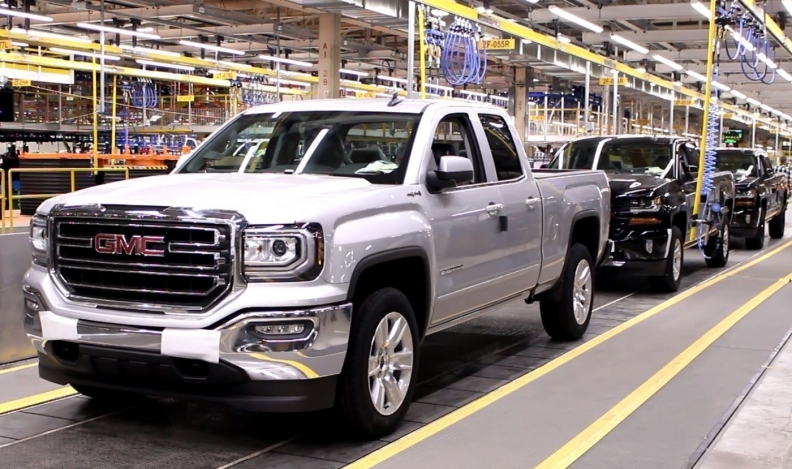 The automaker ships unfinished Chevrolet Silverado and GMC Sierra truck bodies to Oshawa from a factory in Fort Wayne, Ind. The 2018 model-year double cab pickups are painted in the Oshawa plant and employees there perform final assembly of the vehicles. It's been expected that a second shift would eventually be needed. A spokeswoman for GM Canada said the second shift would be “ramping up” in June because of growing demand for the pickups. The move was made to “respond to the recent market trend of less demand for passenger cars, and more demand for trucks,” she said. The vast majority of trucks finished in Canada are sold in the United States, where GM has sold an estimated 236,128 Silverado trucks through May this year; that’s up 11 per cent over the same five months last year. However, Sierra sales are down 12 per cent to an estimated 73,185, compared with the 83,410 the automaker sold last year. It’s a similar sales scene in Canada, where Silverado sales are up 8.4 per cent to 24,418 units while Sierra sales are down 4.7 per cent to 24,201 units. Oshawa also produces the Cadillac XTS and Chevrolet Impala. General Motors idled production of those vehicles for three weeks in January before starting production again on one shift per day, instead of the two it had previously operated on. That one-shift schedule was supposed to last until May 28, but continues, with some overtime shifts on Saturdays, according to James.